“I wanted to study law because I am passionate about helping people work through their problems and being their advocate. Varied work experiences have helped hone my ability to listen and understand the underlying problems of my clients. With degrees in Spanish and Communication, I think one of my strengths as a lawyer is my ability to question, listen and assess." Callan Searcy is a 2007 graduate of The University of Texas at Austin. She holds a Bachelor of Arts in Spanish, with Honors, and a Bachelor of Science in Communication Studies, with Honors. 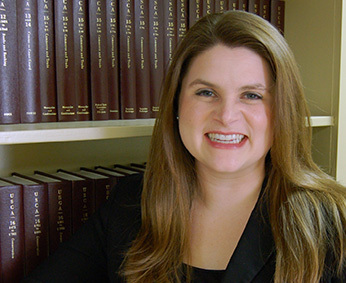 She earned her Juris Doctorate from Baylor University School of Law in 2010. Baylor Law School is nationally recognized for its trial preparation curriculum. Callan Searcy is admitted to practice in the State of Texas . She has been admitted to practice in the United States Federal District Courts for the Eastern, Northern, Southern and Western Districts of Texas.